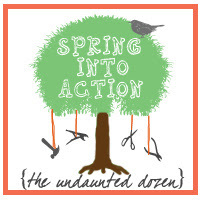 I’m excited to announce that I’m joining 11 other bloggers for the Spring Into Action challenge! Linda at My Crafty Home Life created this challenge to inspire us to complete a project we’ve been procrastinating. Well, I have plenty of those! 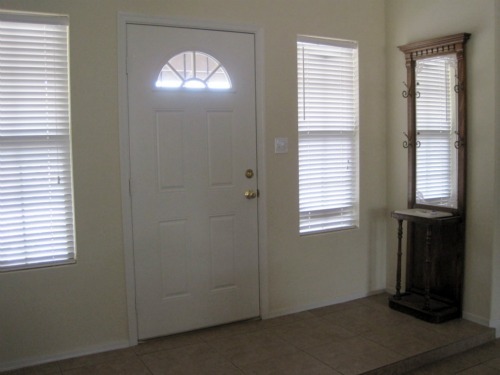 As you can see, it really is the first thing as you walk in the door. *In all fairness, there used to be a plant on it and it looked a little better…then the plant died. Next week we’ll talk about the progress I’ve made (or haven’t made) and then the week after that is the final reveal! I better get my act together and get started! And don’t forget to stop by and visit the other ladies taking part in the challenge! Some of them are really brave and taking on even bigger projects! That piece is fabulous! I love it - it has so much character and certainly a lot of potential. Look forward to seeing what you do with it. 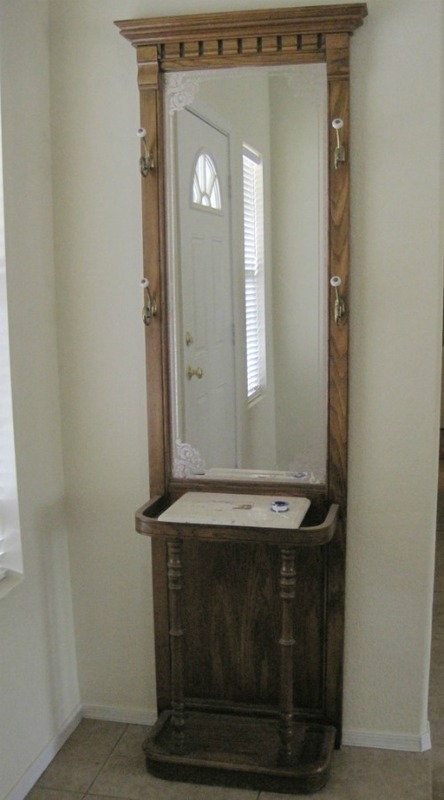 This piece is perfect for an entry way. It's going to look great with the Sam-touch! Wow! You can tell that piece is going to have a night and day transformation. I'm looking forward to seeing how it goes! Great project! I love seeing antique pieces get a modern makeover. Eyeball hooks, that is so funny! I am looking forward to your color selection. I can't keep houseplants alive, either. Outdoor plants are my friends. Thursday is almost over, and I still haven't started....not a good sign. What a gorgeous piece, looking forward to seeing how you update it. This is going to be super fun when it is done! I can't wait to see the change... what color are you going to pick? I love repainting furniture and giving something old a new twist. Good luck!